Home » dvd » How to Airplay DVD movies to Apple TV ? 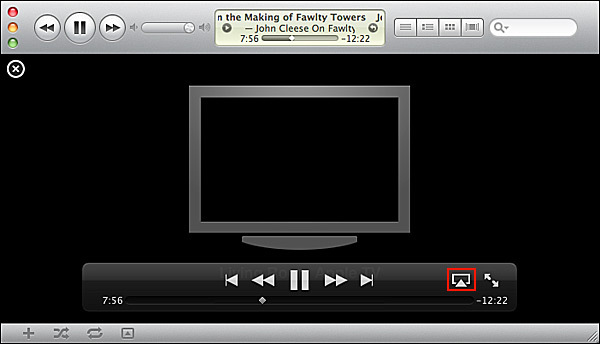 Apple Airplay allows wireless streaming of audio, video, and photos, together with related metadata between devices. With airplay, all of a sudden, your great photos, the perfect party mix and wonderful movies are on the big screen and the best speakers. It's a pity however, we still cannot play DVD on Mac/PC and have it stream to Apple TV/iPad/iPhone. This shortcoming even prevents some people from buying an Apple TV. Although with Mountain Lion, Apple claims with AirPlay Mirroring, you can stream what's on your Mac to your HDTV via Apple TV. We still need wait to see. Before Apple makes any advances for Airplay feature, in fact, we can still airplay DVD to Apple TV for enjoy DVD movies on widescreen HDTV. The article introduces an easy and approved method to airplay DVD to stream to Apple TV/Apple TV 2/Apple TV 3. Guide: How to Convert DVD to Apple TV 2/Apple TV 3 Supported MP4 for Airplay DVD to Apple TV? 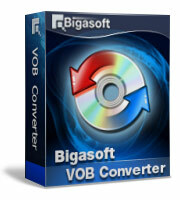 Free download Bigasoft VOB Converter - Bigasoft VOB Converter (Mac Version, Windows Version). Run and install it in your computer. Insert the DVD disc into the disc drive. As the professional DVD to Apple TV Converter, Bigasoft VOB Converter can rip all the DVD movies to Apple TV/Apple TV 2/Apple TV 3 compatible format MPEG4 with fast speed and high video quality. It can also perfectly convert DVD to various video and audio formats like AVI, DivX, Xvid, MP3, and so on for you freely watching DVD movies on iPod, iPad, iPhone, Apple TV, Zune and so on. It also supports batch conversion and is compatible with almost all the operating systems including Windows 7/Vista/XP/Mac OS X v10.4(Tiger), 10.5(Leopard), 10.6(Snow Leopard), and 10.7(Lion). With the basic editing function of Bigasoft VOB Converter, you can easily cut the unwanted part of your movie, merge the clips into one file and do some other effects you prefer. Click "Open DVD" button to to load DVD to Bigasoft VOB Converter. Click the small triangle to the right of "Profile" and set "Apple TV MPEG-4 Video (*.mp4) " from "General Video" Category. Once you are satisfied with the output settings, hit on the "Convert" button to convert your files to Apple TV. When the conversion is complete, click "Open Folder" to find the converted video. Start iTunes, and then choose File -> Add File to Library to import the converted video files to iTunes or simply drag and drop the converted files to the iTunes Movie Library. Hit on "Play Movie" button in iTunes. The movie will start playing. You'll notice an AirPlay icon in the bottom right corner of the iTunes application show up. Click it, select "Apple TV" and your video will begin streaming to Apple TV/Apple TV 2/Apple TV 3. With Bigasoft VOB Converter, Airplay DVD movies streaming from iMac, Lion, Macbook, Windows PC to Apple TV is just that easy. You can also enjoy playing DVD movies on iPod, iPad, iPhone, and so on. Free download Bigasoft VOB Converter and enjoy Airplay DVD movies to Apple TV, Apple TV 2/Apple TV 3 right now. Posted by Emily Moore. By the way, you may join me on Google+.